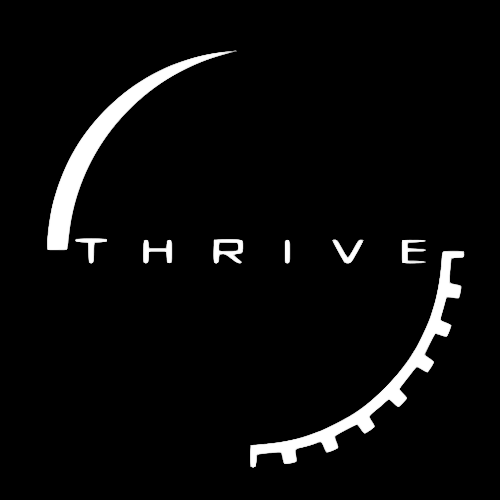 Developers' wiki for the evolution game Thrive. Thrive is a free open-source project, which means that nobody gets any money from any part of the process. It's been this way its entire history, but there have been many debates over its potential involvement. This page is here to collate as many of each side's arguments as possible, reach a temporary conclusion and present the transcripts of some of these discussions. If anyone brings up the topic of money and Thrive, this page should be the perfect response, since it covers everything the team can think of. There are several possibilities for how the money could be collected and what it would be used for. Some negate a few of the arguments for and against further down the page. The most obvious method for getting money is charging for the game. Even as a niche community our releases are downloaded thousands of times, so a small charge for each download would lead to substantial income. However, we feel this is the worst option possible. Firstly, it contradicts everything the team has ever said about the game's pricing — after so long staying adamant the game will remain free forever, suddenly charging for it would destroy the community's trust in the developers. Our code and assets are licensed under the GNU General Public Licence and CC-BY-SA respectively because we want the game to be shared without barriers and we want modders to have just as much code access as developers. Furthermore, charging real money for what is currently a pre-aplha minigame is preposterous. Very few would download the game anymore, and those who do will likely be angry at having to pay for something so unfinished. In summary, charging for the game is a definite no. Another obvious alternative is to have a donation system. This is perhaps the most likely option. Somewhere on our website we'd have an option to give money to the developers (similar to Species: ALRE) and the income would be pooled and spent as necessary (see below). Plenty of Thrive fans in the past have expressed their support for giving donations and this option doesn't have the baggage of a paid game or Kickstarter. The main question is how much money it would generate. Kickstarter is a website where fans can give money to projects working towards deadlines and features. We've seen it suggested so many times we may be biased against it purely out of boredom. The Kickstarter model works well for conventional indie games (e.g. FTL and Star Citizen) but Thrive is far from conventional. Our project is long-running and can't guarantee to meet deadlines. We also have limited options for rewards. The Kickstarter community is known for turning on projects which fail to deliver quickly after a funding goal is reached. What would we even have as a funding goal? Kickstarter isn't ruled out completely, but there are a lot of difficult questions we'd have to answer if we went down that route. Patreon is similar to Kickstarter, with two crucial differences: fans pledge to pay a project every set duration (e.g. month) or project update, and there are no set goals. There's a greater focus on rewards, which we'd struggle with. With the slow progress of Thrive's development, asking for money every month also feels manipulative, since it appears to be in our interest to delay work as much as possible. Video game projects on Patreon don't tend to receive as much as elsewhere either. Bountysource works differently to most other funding platforms. It solves a few of the issues listed in the arguments against, but throws up some others. Users (in our case, Thrive fans and developers) place a bounty on completion of a feature in a project, and anyone from the open-source Bountysource community can complete that feature in exchange for the bounty. While it eliminates any worries about who controls the money, it poses other problems. What constitutes completion of a feature? Will anyone be motivated to fix bugs if everyone adds money to the pools for features instead? How do we decide what features are options? What if someone completes most of the work for a feature but someone else swoops in and adds the finishing touches, taking the bounty for themselves? All these questions and more will have to be addressed for Bountysource to work for us. We have a YouTube channel, so why not run adverts on videos to generate income? This is perhaps the least invasive method from a fan's perspective, but income would depend purely on viewing figures. And though the official numbers are rarely released, it's highly unlikely this method would generate more than a few hundred dollars in total. Selling merchandise (shirts and mugs, most likely) could be an independent income source or solve the problem of rewards for Kickstarter/Patreon. It's exciting to imagine people out in the real world wearing shirts displaying Thrive concept art. There are two problems though: firstly, all our art is licenced under CC-BY-SA, so anyone can legally print their own designs instead. This doesn't mean we can't sell merchandise, but it does compound the second problem: this isn't going to make much money. Even so, it's a cool idea. No. In the later stages, maybe, but there's no way this is at all feasible for the Microbe Stage. For one thing, it would require multiplayer, something we're ignoring for the moment anyway. How would we use the money we received? Programming is definitely the bottleneck for development. No matter how detailed our concepts, they'll never mean anything if we can't get them into game form. Many have suggested hiring professional programmers to work on the game full-time. With a financial incentive, motivation for working on features and bugs wouldn't matter. As with everything though, there are several problems to consider. How much can we pay them, and what happens if we don't get enough income? Freelance programmers are readily available on the internet, but the best don't come cheap. If we hire new programmers, what happens to our old ones? Is their work devalued? We could pay existing programmers instead (see below) but either way the choice seems unfair. It's likely new people will see development as nothing more than a job, removing any passion from the project and potentially resulting in lower quality, but the inverse might instead be true — programmers working full time might create a better product instead. We don't know the answer, and we'd prefer to err on the side of passion. Our programmers want to work on the game, but it currently isn't viable since they have real life and real jobs to focus on. Some could be subsidized by the project to work full-time or part-time, retaining the passion but adding financial backing too. Though this is one of the likelier options, it has its issues. How do we decide who the money goes to? At what point does a new programmer gain the right to be considered? Full-time subsidies would also be expensive, so we'd have to have a reliably high rate of income. Another option is using the money to promote and advertise both the game and its development. It would be different to most game promotions since we're looking for help making it instead of wanting to sell it. We haven't looked into the specifics, but options include running Facebook or YouTube ads. While theoretically there aren't any barriers to this option, we feel it's quite an inefficient use of the money when we already have the capacity for a lot of promotion purely thanks to word of mouth. The game as it stands today was created without any proper advertising, so the concept is clearly engaging enough for people to become interested without financial intervention. See above. Bountysource generates income but it also decides how it's spent. We could use the money from other sources as part of a Bountysource setup. An extension of subsidizing existing programmers to the whole team. This is the most susceptible to the issues of handling money and deciding who should have it. How are contributions quantified? Who decides who gets the money? Besides, we feel we're adequately staffed in most other development areas; only programming presents a bottleneck. Aside from particular software (which team members would have already from other projects), the only expense for the Thrive team at the moment is paying for various servers and domains. Money from donations could be used to compensate this, and even expand server capability (we could host the game files on our own server instead of GitHub, for instance). There are plenty of arguments for and against the inclusion of money in the process. Some are specific to a certain method (these are described above) but all have drawbacks. Not all of these are certainties, but they're possibilities, and for negative arguments this creates risk in accepting money at all. Money might make the project go faster. This is a complete unknown, but everyone suggesting the involvement of money assumes it's a given. The truth is we don't know, but yes, it definitely could. It could solve our biggest problem, manpower bottlenecks. A greater rate of progress would help build excitement around the game, possibly attracting more people and more income. It would boost confidence in the project, which has so far been held back by outside opinions deeming it impossible. The broader community would feel more involved since they have an avenue to support the game directly. Any talk about moral purity and altruism from the free nature of the project isn't as important as getting the game finished (in some people's eyes at least). The responsibility that money gives someone may make them stick around longer and work harder. Selective hiring of individuals could negate any problems with a lack of passion in the project. Stabilizes the team for the future. The public are generally wary of donations to projects considered vaporware. While Thrive has moved past that stage, there's still the worry it could be perceived as such. The type of work we might want to pay for (programming) is generally quite expensive and the amount of money we'd receive is unknown. Giving money divides the team into two tiers, those who are paid and those who aren't, possibly causing friction. It's difficult to decide what sort of work deserves compensation. Who gets to make the decision? How do we resolve disputes? People may be unwilling to give for free what they could be paid for. If there is money it's in someone's financial interest not to do any work unless they get it. Whereas with a purely volunteer project they might do that same work out of love for the project. Ironically, less work may get done. Who has control of the bank account where the money is stored? What do we do if they disappear? What is to prevent them running off with it? Are there legal issues such as tax to consider? Certain systems might need contracts, which can't be signed since we aren't a legally recognized company. Money might cause friction in the project. The atmosphere is nice right now because the one thing common to all team members is the passion for the game itself. If money is involved people may start joining who don't care about the game at all and just want to get paid. People who have contributed money will expect a return. The relationship between the developer team and the fanbase could be damaged if there is a perception the money was ill spent. The project has insanely ambitious goals and the amount of money to achieve them is between vast and infinite. Any crowdfunding campaign, for example, would have to be very clear about exactly what features were being funded. How does being paid fit in with people's lives? Are people expected to work on the game full time (which would be expensive) or are they expected to work around another job/university (which isn't very different from the system now)? We may not able to free up much time for individuals. Even if by some miracle enough is raised for someone to quit their job, there's still the possibility of other real world events intervening in their lives, and then what do we do with the money? When you get down to it, there's not really much for us to spend money on. Server maintenance yes, but there's no need to pay people besides the possibilities outlined above or purchasing better equipment. Accepting money removes someone's right to autonomy. Commercial pressures are (allegedly) what led to a sub-standard Spore in the first place. Thrive could fall down the same hole. Might morally devalue the work that others have done in the past, as well as turning programmers into commodities rather than appreciating their opinion and judgement on game mechanics. Having money involved may put up more barriers to entry. All things considered, the team have decided to stick with the current model for now. That is, we don't receive any money and the only expenses (server costs) are paid from team members' own pockets. While supporting development with financial backing sounds good, we feel there are too many problems and difficult questions to go in that direction for the time being. There's no guarantee development would actually go faster if we changed this policy anyway, it's just an accepted assumption many people make. Thrive has gotten this far without money, and it may go further yet. That said, we're open to reconsidering this verdict in the future. At the moment we feel we wouldn't get enough money to make any activity worthwhile, but once Thrive becomes more popular our opinion may change. The team itself may have changed by that point too, to a group of individuals with more development experience and better judgement of the situation who can make their own decision. Since the above lists don't convey nuance properly, this page includes the exact words of everyone who's made these arguments from several instances in Thrive's past. Many debates took place too long ago and have been lost in the history of the internet, so those opinions are unfortunately gone. Be aware the links to our archive forums are riddled with adware.